It's Wednesday but it feels like Monday... so did yesterday. Loved having the long weekend but apparently I need my routine. Had a bit of time today so I made this simple card for the Viva la Verve challenge using the Verve Fabulous You stamp and the Award Banner Trim die. hello Diana! an adorable card, luv the colors and patterns! so glad you played along with Simon Says Stamp Wednesday Challenge! 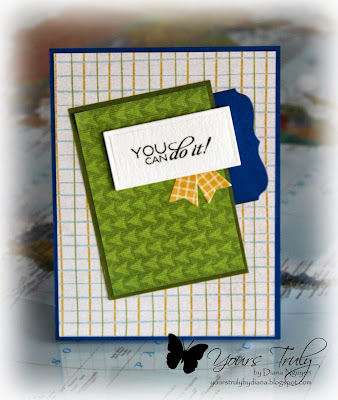 Love the sweet message and wonderful colors of this card! Thanks for playing along with Viva la Verve this week!